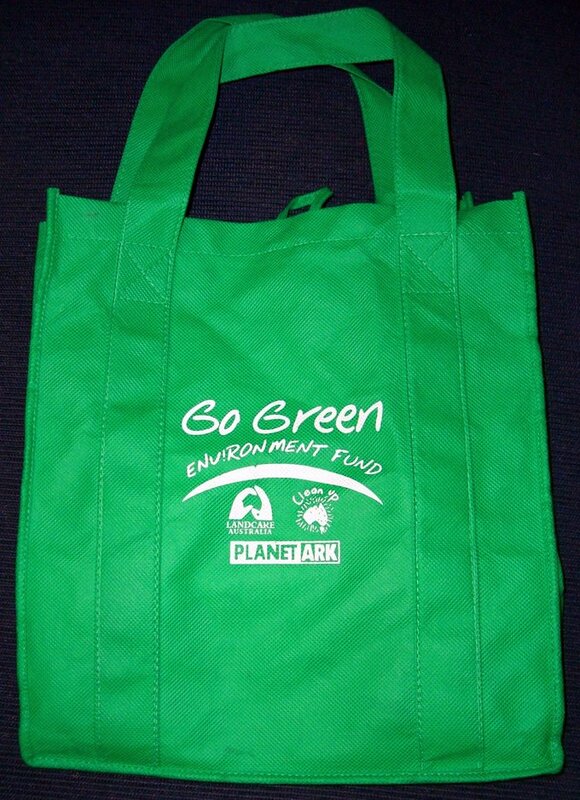 Did you know that here in South Australia, we've had a ban on lightweight checkout-style plastic shopping bags since 2009, resulting in almost 400 million less plastic bags per year? You can still get the heavier kind at department stores like Myer and David Jones but when it comes to groceries and some discount stores like Kmart or Big W, it's BYO bags or buy a reusable bag for 15 cents each. Sure, at first, it was a bit of a pain to remember to take the reuseable green bags with you into the shops and supermarkets soon had to issue edicts that shoppers brought enough to comfortably fit all of their groceries and not try and cram a week's worth of items for a 4-person family into two bags to avoid the 15 cent charge on further bags but otherwise, most normal people just cracked on with life. There are arguments that people now have to buy plastic bin liners instead of using their shopping bags and that the environmental impact has been minimal. 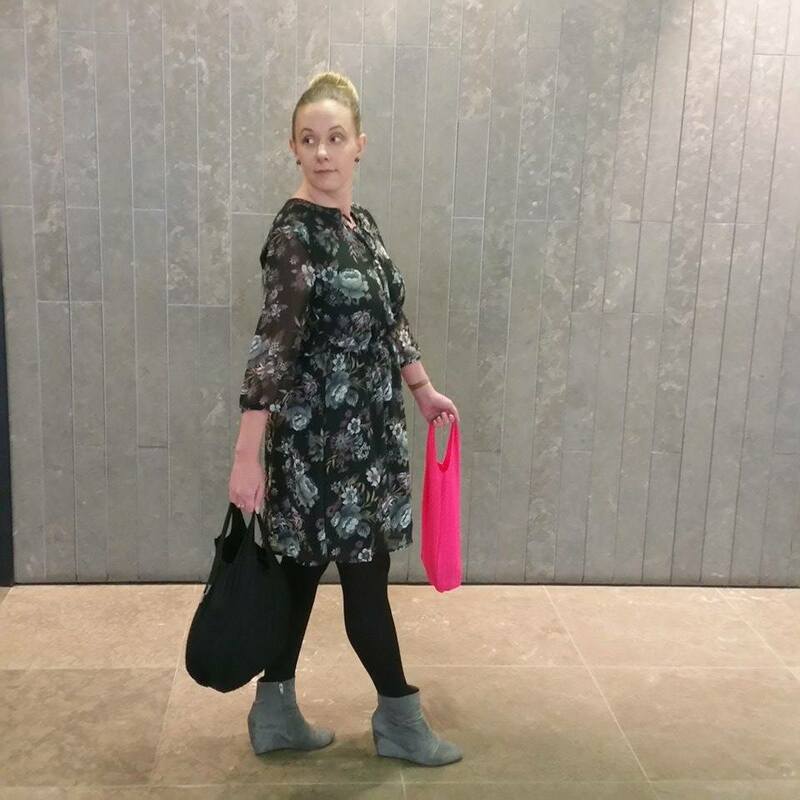 Personally, I feel it's about changing habits and even though I'm not rampagingly green, I like to do what I can; including recycling, waste sorting and minimising consumption of one-use bags. For this reason, I (and most women I know) carry a small foldable shopping bag in the handbag permanently for those impulse buys carefully considered purchases or nicking into the shops for the few necessities like bread and milk and heavily reduced Maybelline products. Practical? Yes. Stylish? Not heaps. 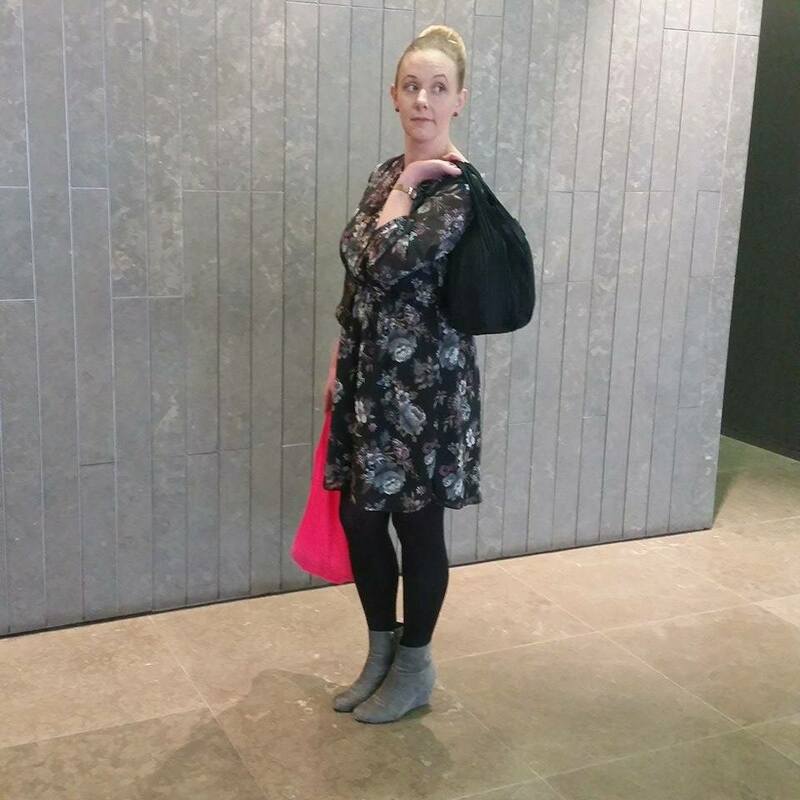 So when local South Australian business Pleatopia got in touch with their chic and clever fashion bags, I was so on board. Fashion? Bags? I'm there! Pleatopia Fashion Bags in "Flamingo" and "Nocturnal"
As you might know, I'm on a mission to downsize my handbag and have been working at downsizing the things within it to save on space; including my Kindle, my purse (still in progress) and my card holder (need to buy a phone cover that will hold my Metrocard so I can ditch the card holder altogther). The Pleatopia in pouch form is a little bigger than my original foldable bag but squishes much flatter. 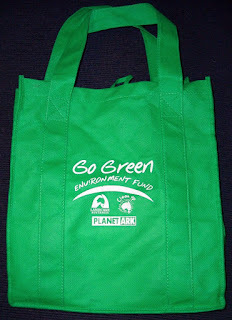 The innovative pleating allows the bags to expand and contract as required. So you are only carting around a bag the size of the object inside. 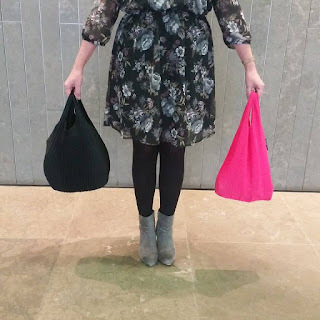 The Pleatopia bags are a little shorter than the "standard" folding shopping bag but the expansive design means you can probably get the same volume in. Being green isn't all hemp pants and world music. Now you can be environmentally friendly and styling too! This post is sponsored by Pleatopia Fashion Bags. Items were gifted for review. For more information, please see my PR and Media Policy.